What else would we call our blog? Data storage has always been a huge part of computing - over the years storage solutions have evolved from portable hard disks to rewritable CDs, and on to flash drives. Storage options have continued to grow smaller in physical size while offering greater space for data, and the latest, and most promising storage solution, is completely virtual. Gone are the days of needing large servers, or carrying around USB sticks, as cloud computing is rising in popularity, and is expected to continue its exponential growth. Over the past seven years, growth in the cloud computing industry has increased by an astonishing 300%! Experts don’t expect it to stop there - they are predicting an even larger growth over the next seven years. According to recent data, cloud computing accounted for a $100 billion market in 2012, and International Data Corporations strongly believes that by 2020, an increasingly large number of companies will find that it is an affordable and viable option for their needs. Several studies have concluded that by the end of 2014, 60% of server workload will become virtualized. This huge shift to the cloud will give distinct advantages to the companies that embrace it, and those that do not will find themselves at a technological disadvantage. Cloud computing as a whole appears to be growing rapidly. The past 15 years have shown a 40% growth in cloud hardware and infrastructure, and over the last 4 years alone, cloud software has grown by 30%. While figures across the sector point towards a transition to cloud computing, businesses do not have to jump in all at once. One way to explore the options available to a company is to use a Software as a Service offering, which gives all employees the ability to connect to company software through computers, tablets, and mobile devices anywhere that an Internet connection is available. Cloud computing is very cost-effective, so as companies become more comfortable with this new system, it is likely that cloud computing will grow at an even greater rate within the business world. Since cloud computing is still just now becoming mainstream, many people have questions about the details of cloud computing. 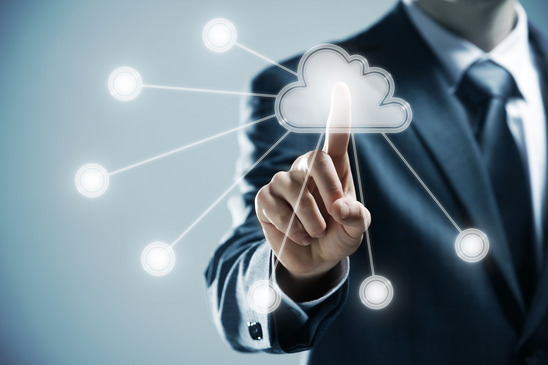 Please feel free to explore the cloud computing resources on our site to learn more about the benefits and solutions that it provides. We are also available by phone and email- our team of experts would love to speak with you in detail about your company’s unique cloud hosting needs. Exposed! How much those $4.99 a month hosting plans REALLY cost. GoMamma is giving me free email! What can go wrong? Have Questions? We've Got Answers. at 1-855-363-5293 OR fill out the form below. Spam-free, we-promise, We hate it too! © 2018 ENDLAYER®, LLC All rights reserved.